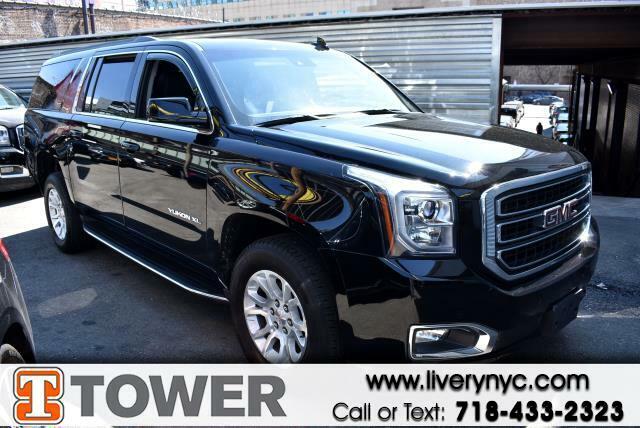 Used 2017 GMC Yukon XL SLT 4WD for Sale in Long Island City NY 11101 Tower Auto Mall Inc.
You'll enjoy the open roads and city streets in this 2017 GMC Yukon XL. Curious about how far this Yukon XL has been driven? The odometer reads 26122 miles. Additionally, you'll be more than pleased with extras like these: roof rack,side steps,DVD entertainment system,heated seats,heated rear seats,power seats,moon roof,rear view camera,navigation,power windows,power locks,blue tooth,mp3 audio input,leather seats,third row seat and all wheel drive Ready for immediate delivery. We bring you so many options because we know you deserve choices. View our complete inventory at our website: liverynyc.com, or call our friendly sales staff toll free at 1-718-433-2323. Tower Auto Mall, the leader in the livery industry, has been supplying cars for professional drivers for over 22 years. I hereby consent to receive messages from or on behalf of Tower and its employees at the contact information I provided. Message: Thought you might be interested in this 2017 GMC Yukon XL.